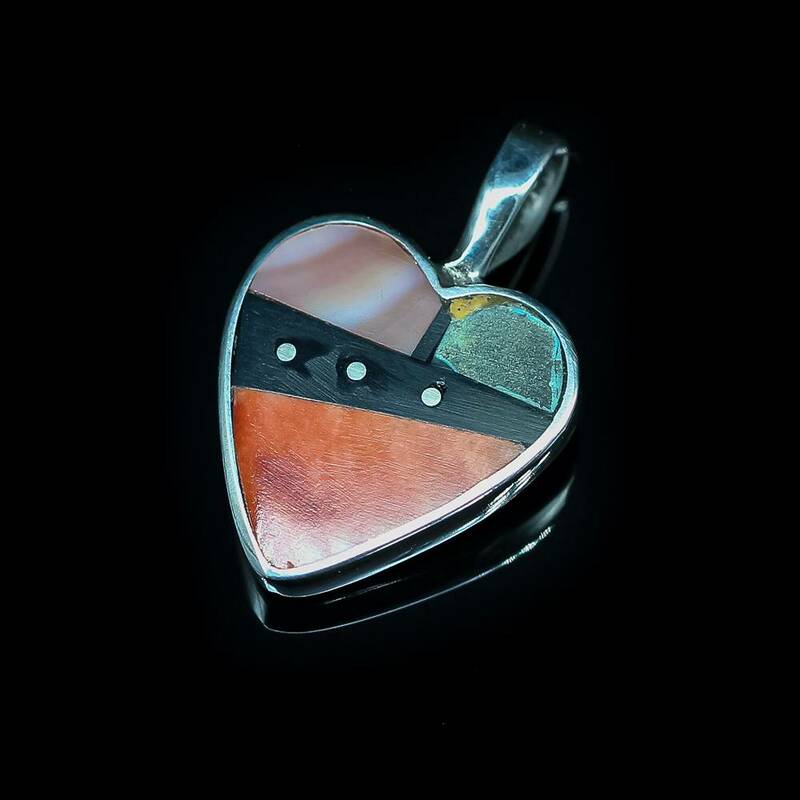 Jimmy Poyer Heart Pendant. Measures 5/8" x 5/8". Jimmy Poyer was born in 1954 near Mexican Hat, Arizona, and was raised near Red Mesa, south of the Four Corners. He attended high school in Shiprock and spent a few semesters at Brigham Young University and then the University of New Mexico before decided that college was not for him. Instead, he felt the lure of travel and his first love, music. He played lead guitar and sang vocals for nearly two decades, many times as the opening act for well-known country performers everywhere from Canada to Mexico. When not on tour, Jimmy began to work as an apprentice to renowned jeweler Jimmie Harrison. It wasn’t long before he began to make jewelry on his own, borrowing the inlay style from Harrison, but creating his own unique designs. He started by experimenting with different color combinations. He likes to see minerals which look good or interesting next to others. He enjoys working with turquoise, but is also fascinated with the patterns and colors he gets from shells, malachite, jet, coral, and other semiprecious stones. 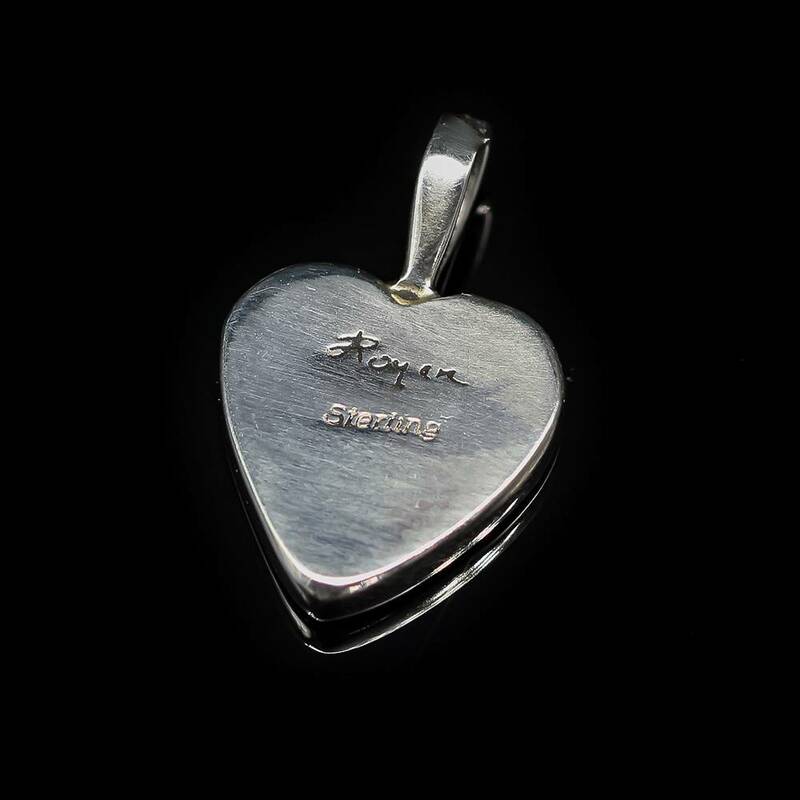 Every one of Jimmy’s pieces is built by hand from sheet silver, wire, and natural stones. He strives for a contemporary look with all natural materials. Jimmy is proud of every piece he creates. His greatest pleasure comes from having other enjoy his work.